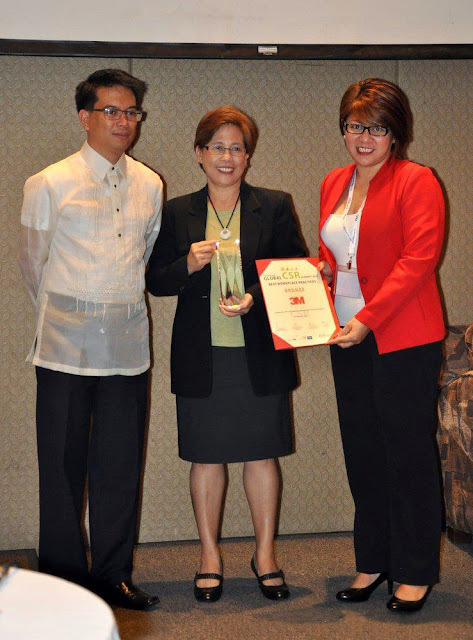 The Global CSR Summit & Awards 2013 awarded 3M Philippines with a Bronze Award for Best Workplace Practices at the Global CSR Summit & Awards 2013 held at the Marco Polo Hotel in Davao City on March 19 and 20. 3M received the bronze award in recognition of its collaborative culture that results in understanding customer needs and its 40+ technologies that are able to provide solutions to make progress possible. The recognition for 3M also noted its creation of meaningful opportunities for 3M employees by involving them in sustainability initiatives and volunteerism projects such as those initiated with the Virlanie Foundation, the Haribon Foundation and The Mind Museum, among others. 3M’s efforts to look after employees’ well-being via health and fitness programs and providing flexible work arrangements to encourage work-life balance were also noted by the body. Nene Amen, 3M Philippines Manager for Corporate Marketing and Public Affairs and Rika Kamibayashi, 3M Philippines Manager for Competency Development and Corporate Communication received the award on behalf of 3M Philippines. Nene Amen 3M Philippines VP for Corporate Marketing and Rika Kamibayashi 3M Philippines Manager for Competency Development and Corporate Communication receive the bronze award for Best Workplace Practices from the CSR Summit Awards. Also in photo is Roberto P. Alabado III the Urban & Regional Planner of Davao City, as the guest of honor. 3M captures the spark of new ideas and transforms them into thousands of ingenious products. Our culture of creative collaboration inspires a never-ending stream of powerful technologies that make life better. 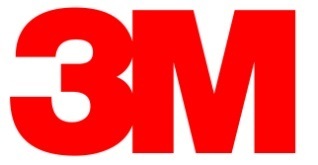 3M is the innovation company that never stops inventing. With $30 billion in sales, 3M employs about 88,000 people worldwide and has operations in more than 70 countries. For more information, visit www.3M.com/ph or like 3M.Philippines on Facebook for news and updates.